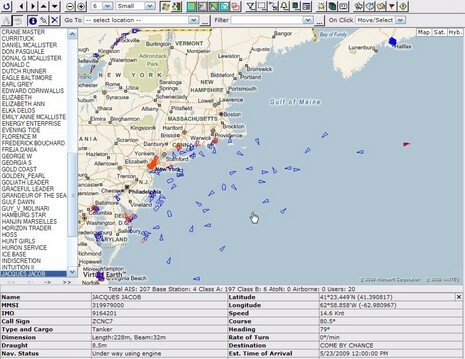 SiiTech is one of the leaders providing innovative products and solutions which allows organizations to integrate AIS technology, charts, web road maps, and Web technology for tracking of the marine traffic. Siitech approach creates a Web-based platform within AIS technology and charts/maps may be merged together with no compromise so that all users have everything at their fingertips. They are devoted to using the latest AIS technologies and Web technologies to make unique products and services for theirs consumer base. AIS AtoN Management is web-based on SiiTech AIS Server and SiiTech Web VTS products and provides an available AtoN management system for AtoN support authorities. The Siitech’s solutions supports S57 and BSB nautical charts, Open Street, Virtual Earth and Web Google maps and is a good solution for vessel tracking.